Identify the characteristics and beneficial properties of sintered compact surfaces for building interiors. Investigate the manufacturing process of sintered compact surfaces and the ability of the product to provide beauty and durability to interior building applications. Assess the functional contributions of sintered stone as it contributes to green and sustainable building design. Specify sintered stone in a variety of green and conventional buildings, including proper installation techniques for thinset applications. Sintered stone is a new product category for interior surfaces that is becoming more popular in the United States and Canada due to several very appealing characteristics. To begin with, it is available in a wide range of standard or custom appearances and colors that allow it to look like natural stone, wood grain, or uniformly finished panels, among others. Unlike using the materials it may look like, though, sintered stone provides superior hardness and durability, making it very well suited for commercial and institutional building areas subject to heavy use. In terms of cost effectiveness, sintered stone panels are typically available in large-format sizes, requiring less labor and allowing for shorter installation times. In addition, they are readily installed using known site cutting and handling techniques for large-format tile coupled with common thinset application processes. Altogether, these products are becoming a preferred choice for many wall, floor, and other interior surfaces in commercial, residential, and institutional buildings of all types. Sintered stone is a new product that is being used increasingly more often for interior floors, walls, and other surfaces because of its extensive design options and extremely strong performance characteristics. Sintering is a manufacturing process that has been around for a long time. It is a method to create objects from powders, including mineral, metal, and ceramic powders. As such, sintering has been traditionally used for manufacturing ceramic objects, but there are common applications found across many industrial fields. It is basically the process of using natural materials in powder form and processing them, usually under heat, pressure, or both, to create a desired product. In the case of sintered stone for building products, stone and other natural materials are ground to a powder and subjected to specific heat and pressure to produce the desired end results. Looking more closely, sintering is based on atomic diffusion of particles that occurs most quickly at higher temperatures. The atoms in powder particles diffuse across the boundaries of the particles, fusing them together and creating one solid piece. A simple observable example of sintering can be seen when ice cubes in a glass of water adhere to each other. The edges of the ice cubes, although not powder, can become irregular in the relatively warmer water surrounding it. The water atoms in each of the adjacent ice cubes react and bond together, even though they were originally separate. The same thing happens in stone and other powders when they are sintered together atomically. Applying this process to create thin, lightweight, and very strong sintered stone panels may lead some people to mistakenly think that the finished result is the same as porcelain ceramic tile. However, there are real differences that become evident just by comparing the characteristics. While traditional ceramics might have one characteristic in common with sintered stone, no single ceramic product possesses all of the characteristics, including stain, scratch, chemical, and heat resistance, that sintered stone does. These characteristics come about in part because sintered products are made from selected natural minerals that are different than those to make tile. The combination of powdered minerals with a minimal amount of water is referred to as the compact, which densifies first under pressure and then becomes nonporous during firing at temperatures just below the melting point of the minerals. The powder particles thus sinter and bond together due to the applied pressure and heat, which force all surfaces of the particles to be directly connected to all of the surfaces of the adjacent particles, creating a very dense and strong end result. Due to its all-mineral composition, sintered stone has high heat and fire resistance, while its density makes it virtually waterproof—it has a porosity less than 0.09 percent, meaning no sealers are required. Sintered stone panels are available in a wide variety of colors, finishes, and textures to suit a variety of room and building types. From a design standpoint, the surface of sintered stone can provide the look of stone, tile, wood, smooth, or textured surfaces in a variety of colors and hues. However, it is lighter in weight than many other materials, coming in at only 1.1 to 1.5 pounds per square foot for a 1/8-inch-thick panel. For those who maintain the building, they find the dense, nonporous surface easy to clean, including the removal of graffiti so the appearance and color are maintained over time. Even harsh chemicals aren’t a problem to use since sintered stone is chemical resistant. The material has even been shown to be hygienic and suitable for food contact, which has also led to its use for countertops and food-handling surfaces. All of these design attributes have helped to promote its use not only on interior walls and floors but also on building exteriors. With all of these high-performance and desirable characteristics, it is easy to have the misconception that using sintered stone for a building surface is expensive. In fact, it has been proven repeatedly as being very cost neutral when looking at first costs and comparing it to many other commodity interior finish products. When considering it over the life of the building and factoring in its anti-graffiti, impact-resistant, and wear-resistant agelessness, it readily lends itself to being an everyday common-sense solution for many architects and designers. Building owners are quick to see its long-term cost saving benefits too when they realize that it is completely vandalism proof (scratch, paint/ink, impact) and virtually maintenance free for the life of the building. The manufacturing process is essentially the same for most sintered stone products, regardless of their final use. We will review this process briefly as follows. Sintered stone requires a combination of different materials mined from different locations, all selected based on their ability to provide various desired characteristics. Sand materials such as silica, quartz, and feldspars are used to provide hardness, strength, and chemical stability. Clay may be used to provide elastic properties useful during manufacturing and finishing. Natural mineral pigments of different types can be used to create different colors or chromatic properties in the final product. Some of these are similar to materials that are used for ceramic and porcelain ceramic products. However, the raw materials for sintered stone are selected and processed to be finer and more pure than those used in tile in order to guarantee a more uniform end product. Once all of these ingredients are located and mined, they are processed in an atomizer where they are ground and treated before being transported to the manufacturing facility to be stored until ready for processing. Since these are all natural materials, they can contribute to a green and sustainable design in the context of practicing environmentally responsible mining practices. With the raw materials ready at the manufacturing plant, a mechanized process needs to be employed to create sintered stone. The machinery used to process the raw materials is unique and designed specifically for sintering with state-of-the-art technology to ensure a high-quality product. The first step is to prepare the compact from the raw materials into a spray-dried mixture of sands, clays, and pigment. This mixture, along with a specific but limited amount of water, is then pressed to form an unfired slab ready to be decorated or colored to suit specific appearance or design requirements. The pressing process can require on the order of 6,000 to 15,000 pounds per square inch (psi) to properly densify the slab, which is significantly higher than the weight used for ceramic material pressing. Once a pressed compact is ready, it can be fired in a large kiln at temperatures below the melting point of the minerals at normal atmospheric pressure. The pressed material is fired for almost 2 hours, substantially longer that traditional ceramics, which have firing cycles of around 40 minutes. These longer firing cycles create a product with a stronger, nonabsorbent surface. During this process, the hardening or vitrification occurs, which may create some limited shrinkage in the slab. This is also the point, however, where the sintering takes place, allowing the material to densify and become nonporous. Note that there is no extrusion involved as is common in other materials. Instead, the pressing plus the heat in a kiln produce strong, thin sheets in thicknesses on the order of 1/8 inch, 1/4 inch, 1/2 inch, or 3/4 inch when finished. All of these enhancements in both raw materials and production techniques result in a product with superior technical characteristics compared to ceramic products. Sintered stone panels are manufactured in large-format sizes that help minimize joint/grout lines, speed installation, and save on cost. The finished, manufactured products can be produced based on the capabilities of the manufacturing equipment. The thickness plus the overall face size of the sheets, or panels, can vary by manufacturer, particularly since many provide metric sizes due to their location in countries that rely on metric measurements. At least one manufacturer, however, offers non-metric sizes in 4-foot-by-12-foot and 5-foot-by-10-foot panels to match American construction sizes. With the panels fully formed, they next need to be fabricated for use as a building material. The so-called “raw slab” comes out of the kiln with rough edges so the slab needs to be squared and rectified before it is ready for installation. Once that is done, the panels can be cut to specific sizes either at the plant or in the field in a number of ways. The most common is to use specific tools to score one side of the sintered stone and then bend or “snap” along the score to separate the two pieces. For cutting holes or shapes, wet diamond saws or high-pressure water jet machinery can be used, all suitable for dense stone materials and providing a high degree of precision. In cases where the material is being applied to a corner, a mitered edge can be fabricated by cutting the slab at 45 degrees and 135 degrees using a bridge saw or waterjet. Then, the two pieces can be adhered together creating a full mitered edge. It should be noted that handling the thin panels is not much different than handling glass panels, although the sintered products are stronger. Nonetheless, even with the high flexural strength found in sintered stone, handling should always be done using appropriate handling equipment. That includes frames with mechanical suction cups to support and move the panels safely just like moving glass or stone panels. With an understanding of the design and performance characteristics of sintered stone, it is easy to see why it is finding its way into more interior designs. Common interior installations include new or renovated walls, floors, and other surfaces where high design and high durability are paramount. In this regard, sintered stone is being used in very creative ways to express the architectural intentions of notable architects around the world. For instance, RCR Arquitectes from Spain used it in a dramatic fashion in a recent project for the ENIGMA restaurant in Barcelona. To achieve the intended look, it used a self-produced watercolor as a basis for a manufacturer to create a custom-colored sintered stone that was used extensively on floors, walls, counters, and furniture. As designers of a large body of expressive and important work over the past 30 years, RCR has received international acclaim, including the firm principals Rafael Aranda, Carme Pigem, and Ramon Vilalta being named the recipients of the 2017 Pritzker Prize for Architecture. 2017 Pritzker Prize winners at RCR Arquitectes used custom-colored sintered stone throughout the ENIGMA Restaurant in Barcelona. Beyond the extensive design capabilities, there are some notable performance advantages in interior installations, the first of which is the large size format (up to 4 feet by 12 feet or 5 feet by 10 feet). Using panels of this size necessarily reduces the number of joints and grout lines along a surface, which provides a much cleaner, uniform aesthetic. It also contributes to an improved hygienic factor for the space since it is the grout that commonly harbors dirt or other contaminants. The large size panels also reduce installation time compared to using smaller tiles that need to be set and installed individually. The characteristics of sintered stone as a product make it attractive for installation as well. It’s very light size-to-weight ratio means that it can be readily installed on standard light-gauge metal framing wall systems without requiring any extra stiffening or reinforcing. The fact that it is a thin product (down to 1/8 inch) means that sintered stone can often be installed directly over existing surfaces in renovation projects. That not only avoids demolition and waste disposal of existing surface materials, but it can also mean that existing trim and other features can be preserved and reused without the need to be adjusted to accommodate thicker materials. For most other applications, the most widely used thickness in the United States is 1/4 inch, providing strength in a relatively lightweight product that is cost effective and durable. 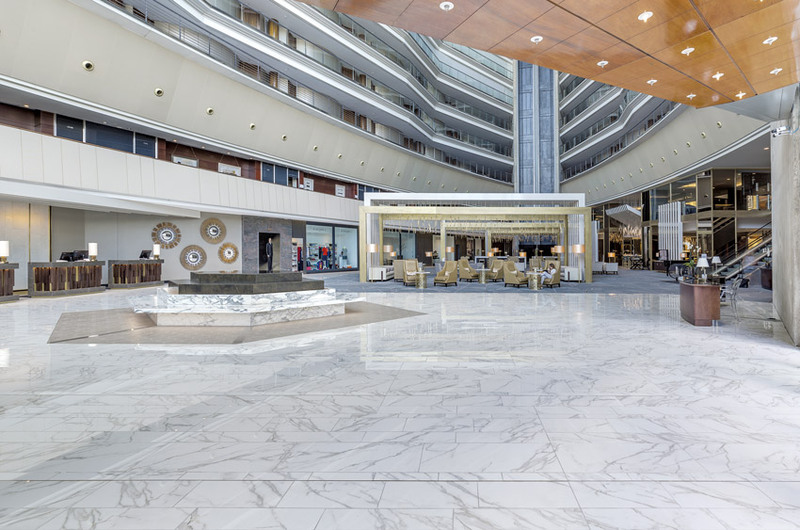 When used specifically for floor surfaces, sintered stone is suitable for all types of spaces, from large hotel lobbies to midsize retail or restaurant settings to small bathrooms, and just about everything in between. The degree of wear resistance needed in any of these spaces can be accommodated by picking the proper thickness of sintered stone to suit the situation. The choices of thickness can also help provide smooth transitions with adjacent floor finishes. Sintered stone flooring can create dramatic visual effects, including custom shapes, while remaining durable and easy to maintain. Sintered stone flooring is best installed using common thinset adhesion and grouting techniques similar to ceramic tile installation. The underlying subfloor or substrate needs to be cleaned, and if waterproofing is required, that should be installed first. In some cases, some self-leveling materials may be required, particularly in existing buildings. Then an appropriate thinset adhesive can be applied to the substrate and made ready to receive the sintered stone in common fashion. In the interest of achieving a level surface and even spacing of the panels, common floor tile installation tools and accessories can be used. For large areas, control or expansion joints need to be coordinated with the rest of the building structure and can be filled with an elastomeric sealant. Once the sintered stone panels are in place and set, then the panel joints can be grouted and finished. One of the common criteria for floors in public spaces is the tested slip resistance of the flooring material. Up until the year 2014, the standard test was based on a static coefficient of friction (SCOF) following specific testing procedures developed by ASTM International. Since then, the new test standard has been based on a dynamic coefficient of friction (DCOF), which tests for slip resistance based on an object being already in motion—in other words, more closely aligned with a person walking along the floor. The industry standard for achieving appropriate slip resistance in flooring is a tested 0.42 DCOF. Since sintered stone products can be produced with different surface types, they can produce different DCOF ratings. Many, however, have been tested and shown to meet or exceed this test standard, making them very suitable for all types of flooring applications, particularly for high-traffic areas, such as lobbies and hallways, and wet areas, such as bathrooms and kitchens. Using sintered stone on stairs is a logical extension of using it on floors and walls in a building. 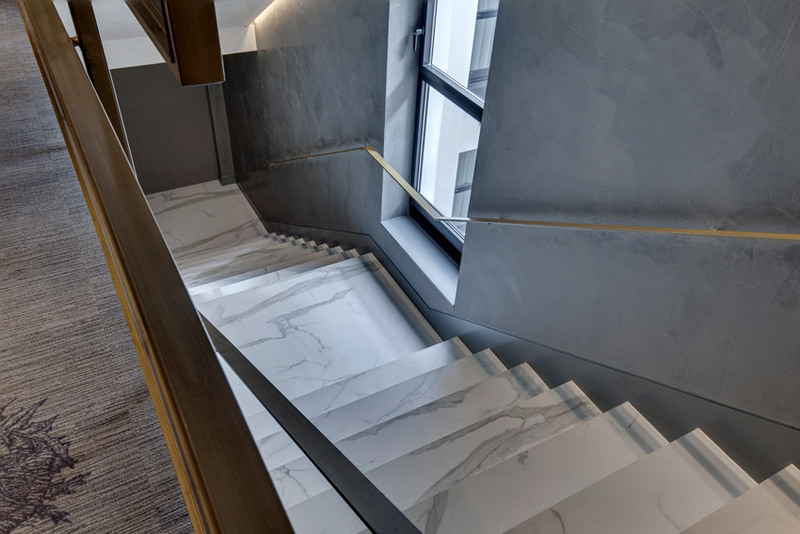 Interior stairs are another area where sintered stone has been used successfully, particularly where appearance, durability, and slip resistance are key criteria. In these situations, the sintered stone can be cut to cover the treads and the risers and even integrate with adjacent walls, balusters, etc. Standard safety nosings can be incorporated as may be needed, or the material can be used to fully cover the stairs. As noted already, sintered stone can be created to take on the very accurate appearance of marble, granite, other stone, wood grain, tile, and more depending on the manufacturer. For flooring, this means that designers have a full palate of colors and textures from which to choose. Grand spaces can have sintered stone floors that look like marble, granite, or other dramatic stone, including the capability to create patterns and stone imagery that is more readily controlled than stone materials. For restaurant and retail spaces, the colors and textures can be selected to complement the rest of the decor and create spaces that are bold and strong or soft and intimate depending on the situation. For bathroom and kitchen spaces, surfaces that look like marble or create contrasts of colors, including the creation of tubs and other items, can be designed to meet the intended results. In addition to floors, walls provide particularly intriguing design possibilities using sintered stone. 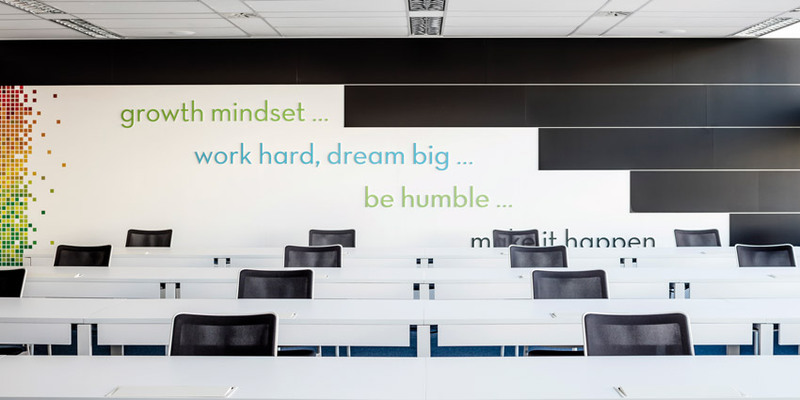 The large-format panels can cover large areas with the full range of colors, patterns, and textures to create spaces that have strong, durable wall finishes. As such, it is suitable for all vertical wall surfaces and any incidental horizontal surfaces, such as shelves, offsets, or recesses. Since it is easy to clean and very dense, its hygienic properties make it appropriate not only for public spaces but also for private spaces, such as guest room bathrooms, kitchens, etc. In fact, it has also been used to create countertops since it can be certified for food preparation areas. Elegant wall surfaces can be created and detailed with sintered stone panels, as in the Parkland Hospital Dallas shown here. Installation on walls is fairly straightforward due to the thin, lightweight properties of sintered stone panels. Similar to floors, the wall substrate needs to be prepared and readied but does not typically require anything unusual. Standard coordination with wall framing and use of an appropriate backing board, such as would be used for tiled surfaces, are the best places to start. Then the use of thinset adhesive in a manner similar to floors can be employed for wall surfaces up to 10 feet in height. For any panels installed above 10 feet above the floor, the recommended procedure is to use wall clips recessed onto the back of the sintered stone panels that are secured to the wall as part of the thinset application. Once all of the sintered stone panels are in place with the appropriate spaces between them, grout can be applied and the panels cleaned to be ready for use. Particularly relevant to wall finishes, sintered stone panels are available in gloss, satin, or rough finishes to emulate the full range of material appearances noted previously. That means the walls can coordinate directly with flooring choices if desired or be selected to be intentionally different to create a wide range of interior finish designs. Of particular note is the design possibility of using striking book-match or end-match effects of panels that have veined designs, such as would be found in marble or other stones. The challenge with using natural stone for those purposes is the randomness of the veining and the difficulty in obtaining true matching panels to install. 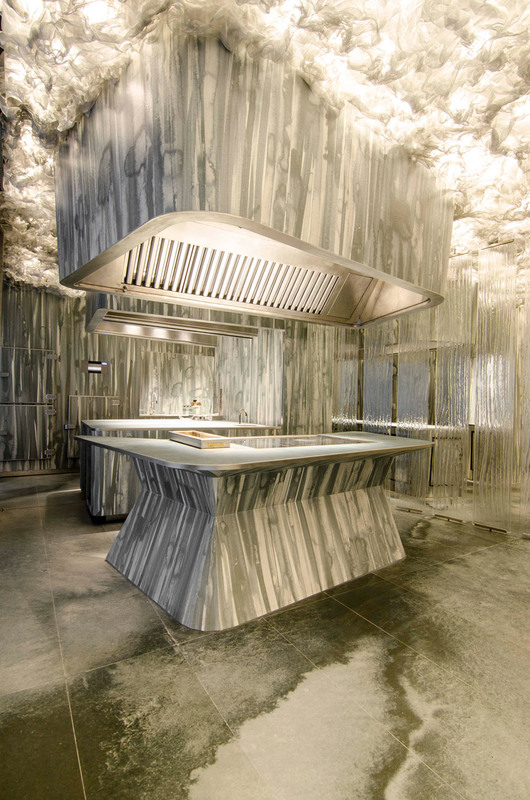 Since the sintered stone panels are manufactured, however, the veining and patterns can be very precisely controlled to achieve very dramatic and artistic looks. Book-match and end-match patterns are readily achievable with striking results using sintered stone panels that emulate marble and other stone. Submittals for sintered stone should include the usual manufacturers’ data and information plus any recommended maintenance and cleaning information to be passed on to the building owner/operators. Samples of the different stone products specified may also be requested for verification of color and texture. For thinset adhesives and grouts, manufacturer’s’ product data and installation instructions for each product specified should be submitted, including material safety data sheets (MSDS) where relevant. Adhesion: Thinset mortar or adhesive should be applied to both the substrate and the sintered stone in a “double-buttering” method to ensure full adhesion. Temporary clips and surface leveling systems can be called for to create a uniform, flush condition across panels. Sintered stone is becoming an interior finish product of choice for many building types. Its proven properties of being a natural, lightweight material available in many different colors and surface appearances is getting the attention of architects and interior designers. Its long-term durability and ageless properties make it an excellent choice for those concerned not only with controlling first costs but also life-cycle costs. The common thinset method of attachment makes it familiar and easy to install, maintain, and replace if needed. In short, it is likely to continue to grow in use and popularity in commercial, residential, and institutional buildings because of its appealing variety of design and performance characteristics. 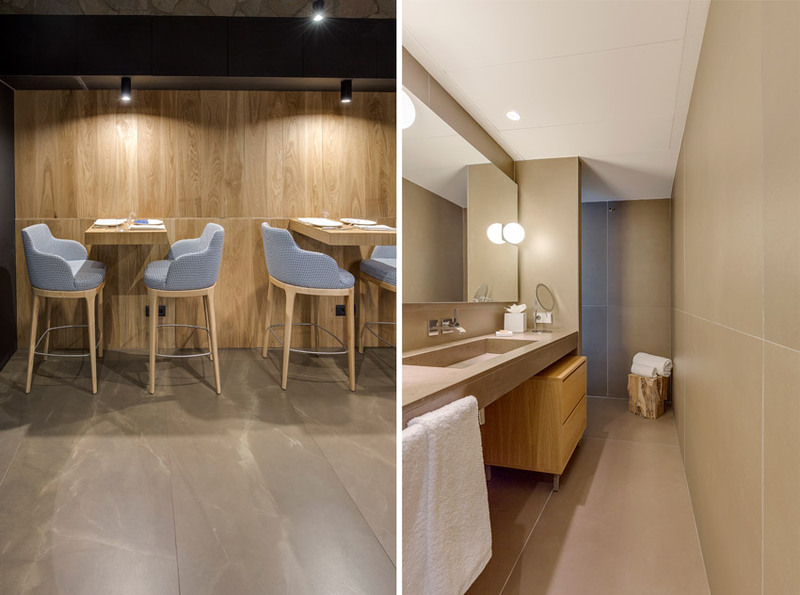 Cuarto Interior used sintered stone to create a contemporary and sophisticated remodel of the Barceló Theatre building in Madrid. Respecting the rationalist design of the iconic Barceló Theatre Building—designed by the Spanish architect Luís Gutiérrez in 1930—the interior design studio Cuarto Interior was commissioned to remodel the second floor to turn the former and popular Madrid disco Pacha into a VIP club of Madrid nightlife. The goal of its owners, the Trapote family, was to renew this historic place into a luxurious space with a cosmopolitan style able to attract a young and selective audience to have a cocktail or dance until dawn. To achieve this goal, Cuarto Interior decided to begin the refurbishment work by creating and enlarging the windows area to admire the wonderful views of the city of Madrid. 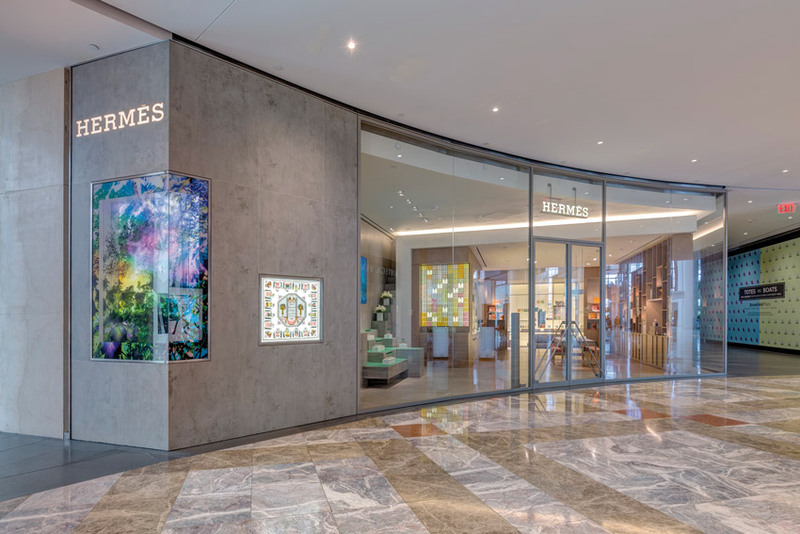 They also worked to design a more functional and modern space that was enhanced by material selections that included a symmetrical presentation of book-matched sintered stone slabs. Due to the hardness and abrasion resistance of sintered stone, the young and talented architects were able to achieve the desired contemporary and sophisticated design without compromising the durability of the flooring and cladding that is subjected to heavy traffic levels. Sintered stone made with a faithful interpretation of Carrara marble was chosen to dress the floor, walls, and furniture of this exclusive disco. The sintering process allowed for an elegant design with a combination of thick and subtle veins crossing a pure-white background, adding a touch of class and beauty. Cuarto Interior decided to create a symmetrical design with mirror effect (i.e., book-match), giving more depth to the space and creating a dramatic visual effect. Sintered stone was also combined with other noble materials such as wood and copper, and with other important architectural elements in the space, such as lighting. Together with the white hue of the sintered stone, a very bright environment is created. This notable project has been awarded first prize in a professional design competition known as II Edition. It won as the best remodeling project by incorporating sintered stone as the main finish material for the renovated spaces. Accolades were given to José Manuel Fernández (executive director) and Germán Álvarez (creative director) from Cuarto Interior for their outstanding contribution to capture the initial idea, as well as for providing a unique experience to anyone who goes to the luxurious second floor of the Barceló Theatre in Madrid. Sintered stone surfacing redefines a classic Miami Beach beauty. 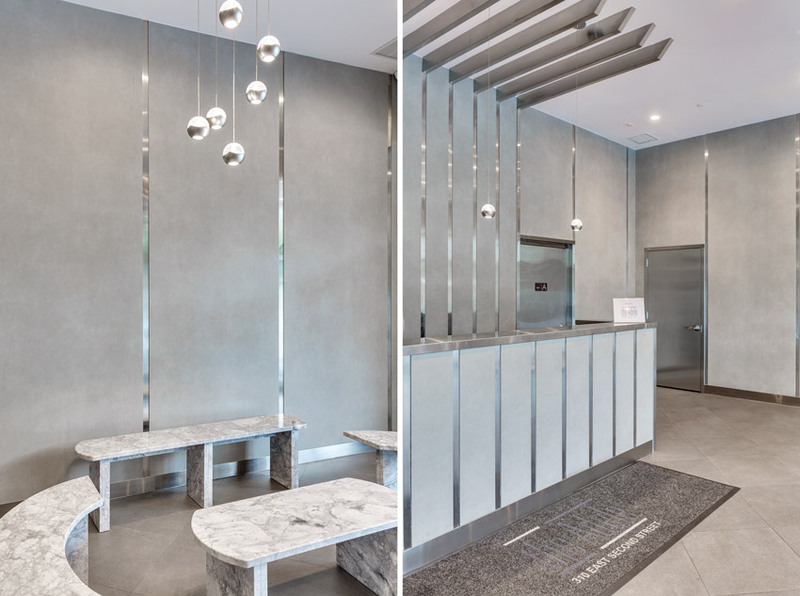 Transforming an outdated condominium into a seamless, sophisticated sanctuary was made possible using sintered stone with a low-maintenance marble aesthetic. Used by ancient Roman sculptors and contemporary designers alike, Carrara marble is often touted for its quality, color, and lavish feel. These characteristics made the material a top choice for one Miami Beach, Florida, family, who wanted to capture the ancient Roman essence when renovating their dated condominium in the luxurious Capobella building. In order to accomplish their vision of a contemporary haven, the family hired interior design boutique firm 2ID Interiors, which specializes in modern interiors, to turn their outdated home into an airy retreat that reflects the beauty of its Miami location. However, having worked with Carrara marble in the past, 2ID owner Rafaela Simoes was familiar with the limitations of the material and knew it would prove to be less than ideal for this dream home. While Carrara marble is a gorgeous and widely popular material, many people are unaware of the laundry list of problems that can be associated with the product in certain applications. For example, Carrara marble requires special cleaning products, must be sealed and maintained with a quality sealer on a regular basis, and due to its porous nature, the material is prone to etching, staining, and chipping. Homeowners can expect to see changes to the marble as soon as the first meal is cooked or the first spill happens. “Our client had expressed their love for a seamless contemporary design and requested that a marble look be merged into every aspect of the kitchen, as well as other areas throughout the home,” Simoes says. The designer’s challenge lied in designing a space that met her client’s expectations without any drawbacks. To achieve the desired aesthetic and low-maintenance quality, Simoes began planning, digging deep into the design process and drawing up plans of what would be a striking renovation of the 3,000-square-foot condo. The goal was to create a consistent design that flows effortlessly. Simoes had recently heard about sintered stone products made from all natural materials, with a reputation for luxury design and incredible durability. She was eager to present the material to her client and assure them that they could still have the look they were hoping for without all the headaches. In addition to the beautiful design, sintered stone slabs have a near-zero porosity, making them hygienic and resistant to bacteria growth, as well as impervious to cleaning solution chemicals. Simoes introduced her clients to a sintered stone with a dramatically authentic marble design and a polished finish. Since the polished finish used was perfectly linear, it resembled the natural stone finish beautifully, unlike other ceramic or porcelain polishing. As such, the marble aesthetic seamlessly blended the high-end look of marble with the innovative design and features of sintered stone surfacing. It proved to be the perfect solution that addressed the concerns of both the client and Simoes from a design and functionality perspective. In the process of redesigning the condominium at Capobella, Simoes was focused on using “end-matched” patterns in selected locations. Unlike natural marble, where the designer is working with multiple slabs that are nearly impossible to match, manufactured sintered stone with an end-matched effect can produce a much more workable and dramatic veining layout. In particular, she incorporated a column that separates the living room from the dining room. She envisioned a floor-to-ceiling marble column—much like that in Roman architecture—and accomplished the look very successfully with end-matched pieces of sintered stone. Similar to the column, end-matched sintered stone slabs created the exterior of the kitchen island for a unified floor-to-working-surface look. Finally, the countertops and backsplash of the kitchen also embraced the end-matched look for an integrated and elegant design. Pleased with the outcome of the kitchen, and understanding the limitations and maintenance of marble especially when exposed to water, the homeowners also moved forward with having the master bathroom fully designed with sintered stone. For the top of the vanity and the shower wall, Simoes opted to use a polished design with a tobacco-brown tone that exudes power and elegance. It is a great contrast with the tub that is designed in a bright-white sintered stone in a silk finish to create a lasting luxurious and balanced space. With dozens of designs to choose from and limitless application potential, Simoes and others in the firm have found that sintered stone gives architects, interior designers, and other industry experts the ability to add strength and natural beauty to the homes they design, while providing a product versatile enough for creative risks.